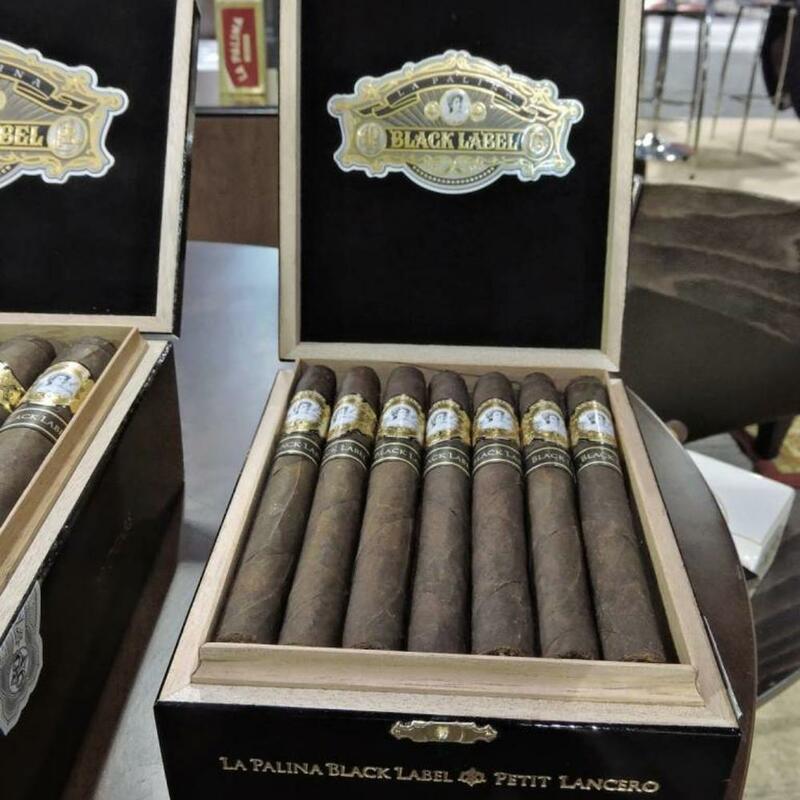 La Palina introduces the new Black Label, a bolder, darker, spicier offering. This cigar features a dark and oily Brazilian wrapper and Dominican and Nicaraguan fillers and binder. This blend has bold and intricate flavors of black pepper, leather, spices, and cocoa powder. It is a powerful yet refined smoke sure to impress. Derived from Spanish, "La Palina" means "the female Paley". Founding father of La Palina, Sam Paley's wife, Goldie Drell Paley, usually dressed in traditional Spanish garb and her portrait appears on many of the beautiful bands and artistic boxes . The La Palina Black Label, with an elaborate black and gold band, features the noble portrait and the cigar itself holds up to the beautiful Goldie. The strongest La Palina blend to date, Black Label Robusto features dark, oily Brazilian wrappers encasing a complex blend of Dominican and Nicaraguan binder and long-filler lead. The handmade construction is tight and immaculate. The carefully selected choice tobaccos transports notes of leather, chocolate. Licorice, earth and black pepper spice on the palate. This bold beauty calls for a pairing similar, such as a bold red wine. At your next holiday party don’t forget to bring an ample supply of La Palina Black Label Robustos and an excellent bottle or two of bold French Malbec. Malbec, produced in the southwest region of Cahors in France, is the epicenter of the purple grape variety production where some of the finest are available. The Malbecs from Cahors achieve their ultimate character and aging potential from these vineyards. With aromatic complexity and full-bodied palates, the best Malbecs of Cahors captivate with flavors of violet, black currant, cherry and licorice. The 2014 Chateau Les Croisille Cahors Le Croizillon France Malbec from Cahors is a beautiful deep red that offers soft and fruity tannins with notes of black cherry, leather, blackberry, cocoa and spice which perfectly complements the Black Label cigar.